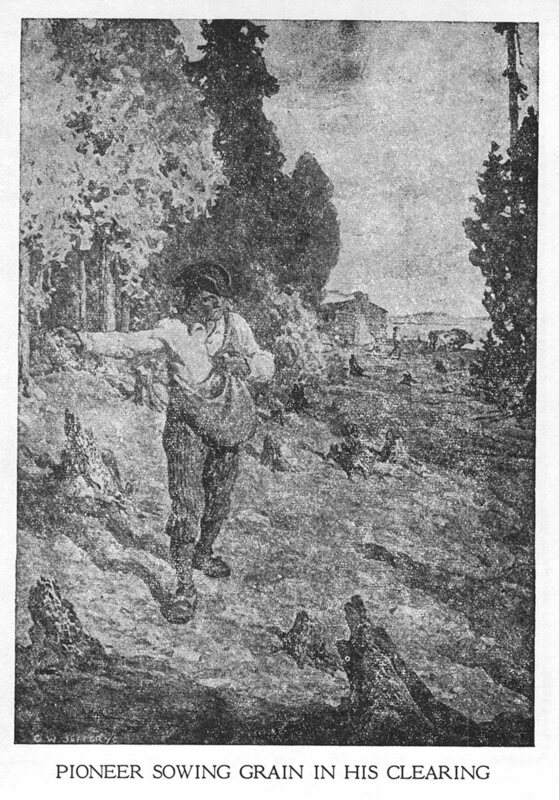 Also titled "PIONEER SOWING GRAIN IN HIS CLEARING"; "Pioneer sowing grain"
Canadian Magazine, v. 36, Nov. 1910-April, 1911. Illus. 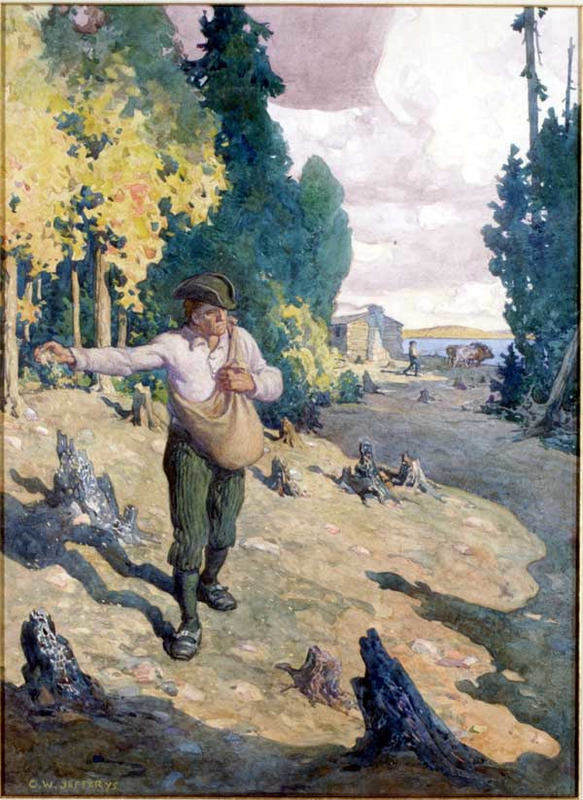 Fortier, L.M. 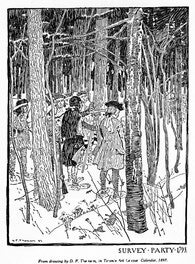 Champlain’s Order of Good Cheer, and some brief notes relating to its founder. Toronto, Thomas Nelson and Sons, 1928. 28 p. Illus. Moore, Kathleen and McEwen, Jessie. A picture history of Canada. Toronto, Thomas Nelson, 1966 103 p. Illus. 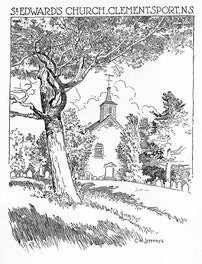 St. Edward's Church, Clementsport, N.S. 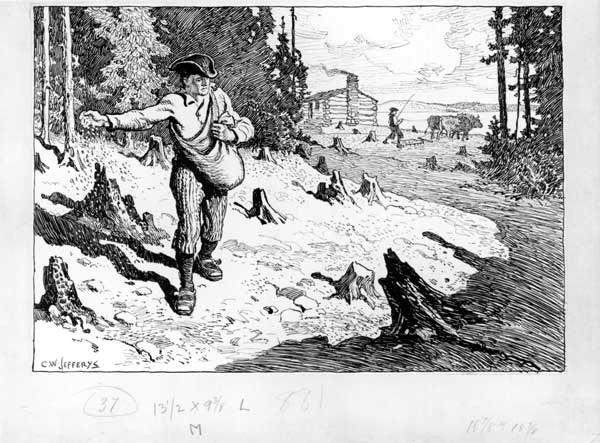 David F. Thomson's drawing of Surveyors of 1793 appeared in the Calendar of the Toronto Art Students League for 1897, one of a series of booklets that today are among the rare items of Canadiana.